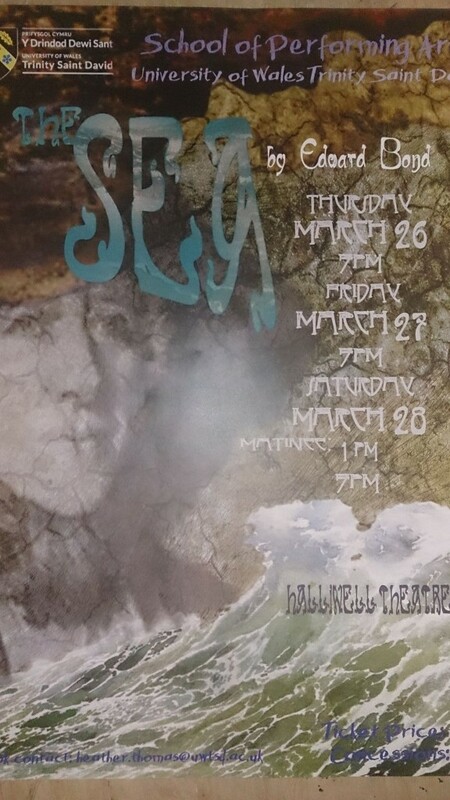 The production week of my final two productions in University is here! 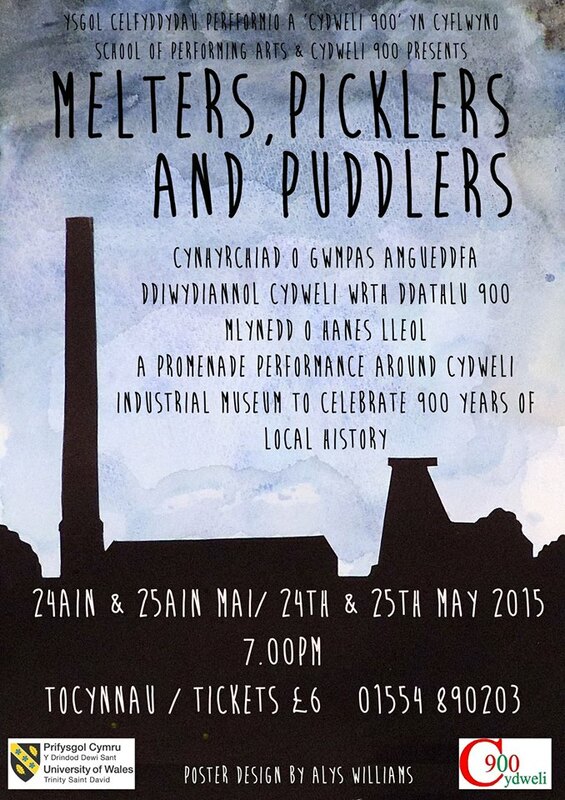 Celebrating 900 years of Cydweli’s history, these site-specific productions share many stories from the towns past in several different mediums. 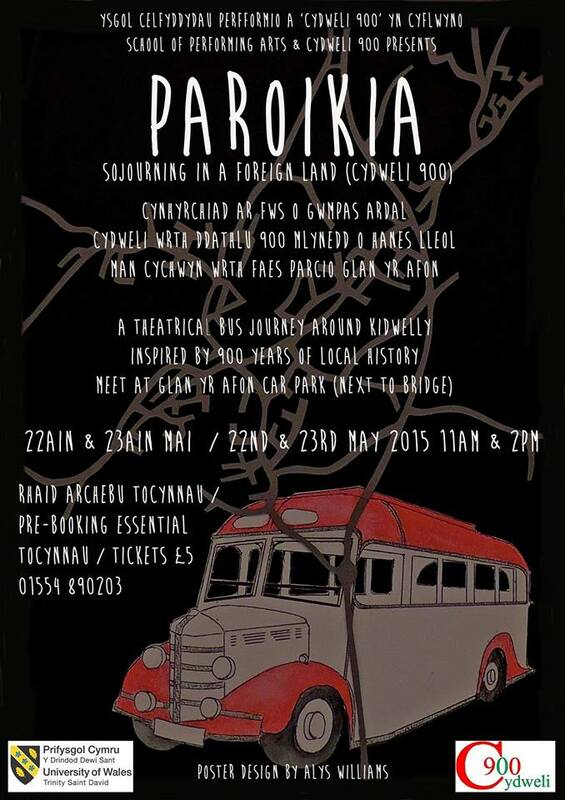 These productions consist of original material, written and devised by the graduating students of the UWTSD School of Performing Arts. Directed by John Quirk, James Scannell, Eddie Ladd and Ioan Hefin. It’s been a fantastic 6 weeks working on Edward Bond’s “The Sea”, and we had wonderful time performing it, and hopefully our audiences enjoyed it too! It has been working on such an intricate play with a fabulous cast, crew and director, and I certainly have learnt a lot from the experience. Photos of the production will be posted here soon. 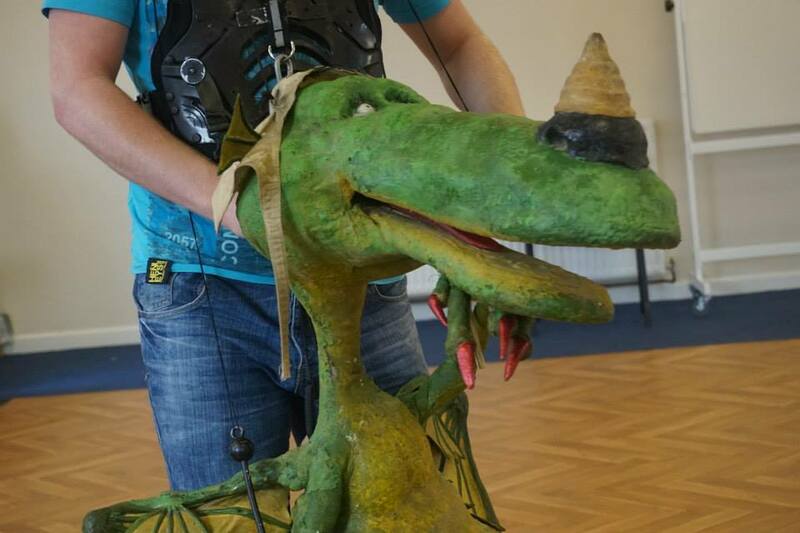 Onto the next project then, which will be a children’s touring theatre piece called “The Reluctant Dragon”, written by Kenneth Grahame, adapted by Toby Hulse. As a part of a graduate theatre company, Blackout Theatre Company, we will be taking the production to castles and stately homes across Wales and England from July 23rd to August 31st. Our rehearsals begin next week and we are really excited to start working on it! Unfortunately, funding is an issue, so we are having to rely on donations so we can sustain the project over the summer months, so we really do appreciate all the support we can get! Below are links to our Crowdfunder, Facebook and Twitter pages. 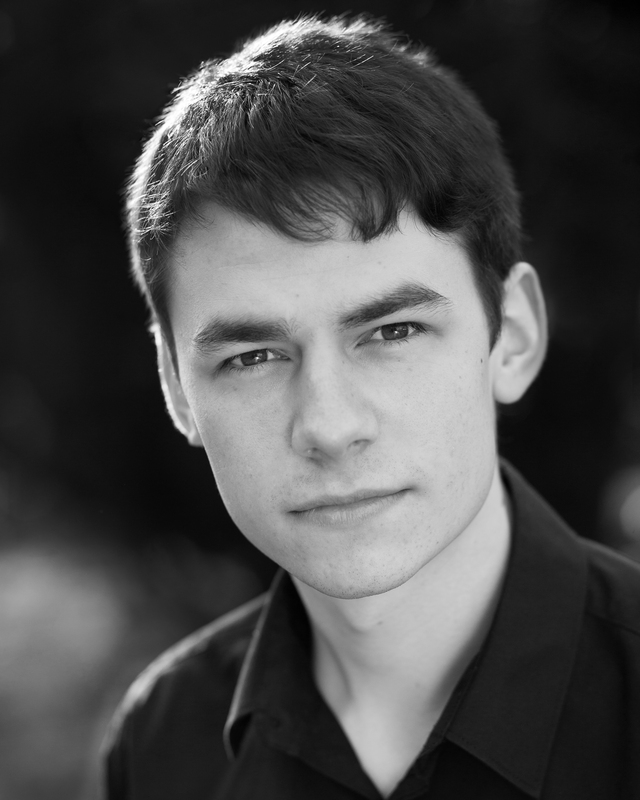 I am an actor, currently in my final year of my BA Acting degree in the University of Wales, Trinity Saint David. At present I am working on a production of Edward Bond’s “The Sea”, where I shall be playing the role of Willy Carson for the Main-House Theatre module of the course. 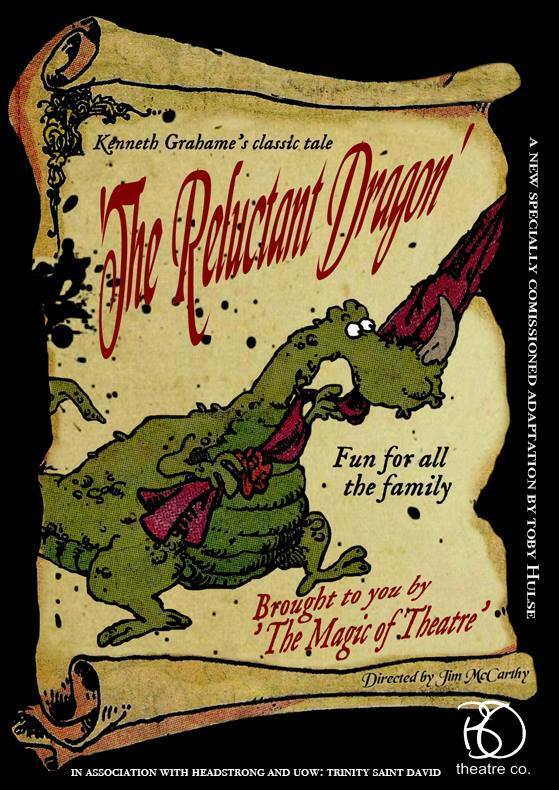 After Graduation, I shall be touring a production of “The Reluctant Dragon” by Kenneth Grahame, adapted by Toby Hulse with Blackout Theatre Company. The production will be touring across castles and stately homes across both England and Wales in the summer of 2015.